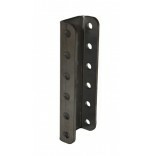 11-3/4" tall adjustable height channel bracket. 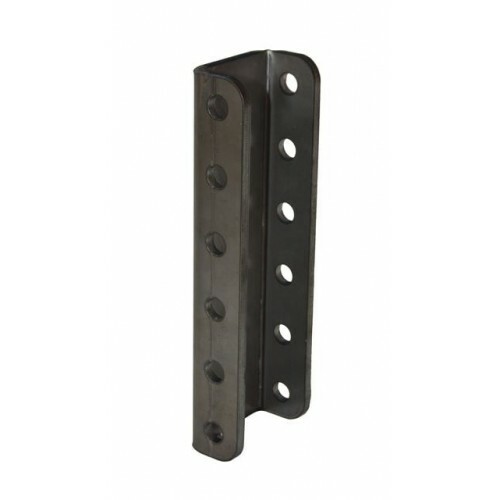 Bracket material is High Strength/Low Alloy ASTM A572 Grade 50. There are 6 sets of holes allowing for 5-positions for your coupler (sold separately). Inside of channel is 3-1/32 wide. Holes spaces 2" apart and are sized for 5/8" diameter bolts. Can be used with Lock N Roll PNs.502 or 503 or any other manufacturer's equipment.